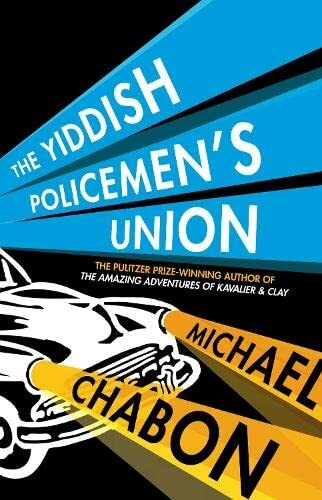 Michael Chabon's The Yiddish Policemen's Union represents the triumph of worldbuilding over plot. Like many detective novels, it utilizes the genre's structure to tell what is essentially a travel narrative. Investigation, after all, is only the exploration of the unfamiliar, and the detective, forced by his role to be both insider and outsider to his community, and to visit its various strata and subgroups, makes a perfect tour guide. In The Yiddish Policemen's Union , the unfamiliar territory is a history that deviates from our own when the chief opponent to then-Secretary of the Interior Harold Ickes's 1940 plan to relocate European Jews to the Alaskan wilderness is killed in an accident before the plan can be buried in committee, then moves further away when Israel suffers a crushing defeat in its 1948 war for independence. At the tail end of 2007, with Reversion just around the corner, Yiddish policeman Meyer Landsman is temporarily halted in his efforts to drink himself into oblivion (on top of his looming homelessness, Landsman has the standard host of reasons for his self-destructive behavior—the broken marriage, the successfully suicidal relatives, the guttering career, and mainly just the obsessive personality and deeply seated self-loathing that no self-respecting hard-boiled detective can do without) by the discovery that a neighbor and fellow substance abuser has been murdered. Along with his half-Indian partner, Berko Shemets, and with only the grudging support of his boss and ex-wife Bina Gelbfish, Landsman sets out to discover his late neighbor's past, and through it, to witness the death throes of his community. This all sounds depressingly familiar—the basic structure is that of a thousand hard-boiled mysteries—but The Yiddish Policemen's Union is spared from utter predictability by Chabon's beautiful, energetic, humorous prose, as well as by the fact that there is virtually no limit to the amount of humor that can be wrung out of combining the noir detective style with Yiddish colloquialisms. The bells and whistles, however, merely serve to temporarily distract us from the fact that mystery, and for that matter plot, isn't really what The Yiddish Policemen's Union is about. This is not to belittle Chabon's substantial accomplishments in the novel. Not only does he deftly and thoughtfully create for Sitka a rich and multifaceted history over the last six decades, but he brings the district vividly to life. Like Chabon's Pulitzer-winning 2000 novel The Amazing Adventures of Kavalier and Clay , The Yiddish Policemen's Union is an intensely visual work. Chabon paints with words. Kavalier and Clay , however, was painted in bright, primary colors, in keeping both with its setting in late '30s and early '40s New York, a period and place full of the promise of new beginnings, and with its focus on comic books. The Yiddish Policemen's Union 's palette runs to darker tones. It is a grimmer novel, and Chabon's descriptions highlight the shabbiness and griminess of its setting, the ugliness of the people (not teenagers and young adults like the protagonists of Kavalier and Clay , but people well into, and sometimes out of, middle age) Landsman encounters—"He is a skeletal man, his skin thin, pink, and peeling. He wears a pointed black beard. His eyes are close-set and the color of cold seawater" (p. 83). The darker tone is in keeping with the conventions of the noir genre, but more importantly, it serves the novel's themes. Kavalier and Clay returns endlessly to the theme of escape, which in that novel is held up not only as a necessity for survival but as a prerequisite for hope and happiness. Implicit within that representation, however, is the assumption that there is somewhere to escape to. For the Jews of Sitka, escape is an evil. It betokens loss, displacement, and an uncertain future. The novel is steeped in the despair of people who are about to lose their home, who would much rather—but can't—stay put. Both the plot and the premise of The Yiddish Policemen's Union rely heavily on Yiddish jargon and on a familiarity with Jewish history and tradition, and although Chabon has clearly gone to some trouble to ensure that the novel be as accessible to readers without a grounding in that tradition as it is to readers who possess it, there is no question that the two groups will have very different reading experiences. For outsiders, the frequent forays into Yiddish become an additional layer of foreignness to be penetrated and explored, whereas insiders will feel courted by the novel, as though it had been written with them in mind—they get the joke when Landsman refers to his service pistol as a "sholem"; they know why the signs at the Zamenhof hotel are written in Esperanto. This separation, the distinction between those in the know and those without knowledge, is mirrored within Sitka. Non-Jewish readers will no doubt be taken aback by the characters' habit of referring to people as Jews or yids—"I did not know the yid" (p. 6), Landsman says of his slain neighbor; "A Jew with blond hair" (p. 84) is how another character describes him. Even this reader, who knows that this form of address was common in Jewish writing up until the middle of the twentieth century, had trouble ignoring its more familiar negative connotations. For the residents of Sitka, however, substituting "Jew" for "person" isn't an act of exclusion but in fact its opposite—an address which remarks not on a differentiating quality but on a universal one. Jews are the same as people because all people are Jews. For neither the first nor second time in the history of the Jewish people (or, for that matter, of any close-knit, maligned minority group), the ghetto walls are turned in on themselves, keeping the barbarians out instead of in. Within Sitka, there are additional subdivisions, each redefining the boundaries of the world. These culminate with the ultra-Orthodox Verbover sect, to whose doorstep Landsman follows the murdered man's trail. In the Verbovers' city within a city, Landsman encounters Zimbalist, the "boundary maven"—the man responsible for decreeing and defining the areas in which Jews are allowed to carry on the Sabbath without fear of breaking the fourth commandment, and by extension, the boundaries of their world. The Yiddish Policemen's Union returns quite frequently to the concept of a boundary, and of its various functions. Like escape in The Amazing Adventures of Kavalier and Clay , it is a bone that Chabon worries down to a nub. The aspect of the boundary to which Chabon returns most often—the one with which the Verbovers, and their even shadier associates, are obsessed, and which is intimately tied with the death of Landsman's neighbor—is the claiming of territory. It is inevitable, and perhaps intended, for readers of The Yiddish Policemen's Union to draw comparisons between Chabon's imaginary land of the Jews and the real one. In certain respects—Sitka's transition, over the six decades of its existence, from a joyful pioneering ethos to moral and ideological bankruptcy, its fraught and occasionally violent relationship with the region's native tribes—the parallels are striking. The ghetto mentality governing Sitka, however, is inconsistent not only with Israeli reality but with the story's twenty-first-century setting, and while it is obviously unfair to criticize Chabon for not creating an Alaskan Israel (if for no other reason than that Sitka is missing many of the cultural influences which have served to ameliorate the effect of Yiddish ghetto culture in Israel over the last sixty years: large contingents of North African, Western European, and North and South American immigrants, a thriving Hebrew cultural scene, rampant militarism, and, most importantly, open hostility towards the image of the diaspora Jew, particularly in his Yiddish incarnation), it is difficult to escape the conclusion that Sitka's cultural homogeneity is anachronistic and wholly unbelievable. Where are the yoga classes, the ethnic restaurants, the dance clubs, the little girls named Britney and Ashley, the copies of Vanity Fair at the newsstand? In spite of the fact that it is, for the most part, a modern, secular society, and that nothing in Chabon's portrayal of the settlement suggests an active attempt to keep foreign influences out (and that it is difficult to imagine such a project succeeding, even partially, without massive efforts on the part of civic and social institutions), Sitka's cultural development seems to have stopped in 1940. Not just any 1940—noir, Chandleresque 1940, complete with diner cafeterias for the lonely and budget-restricted, fleabag residence hotels, and shabby gin joints whose proprietors are matched for bitterness and desperation only by their customers. Chabon, in other words, is sticking to the canonical form of both the noir detective novel and Yiddish culture. Whereas other mystery authors, whose stories are set in the real world, feel free to play with the genre's conventions—James Crumley writes post-Vietnam, post-Watergate noir; John Burdett, in his Bangkok novels, and the late Batya Gur, in her Michael Ohayon series, both use their detectives as tour guides, just as Chabon does, but the territories they explore are modern—and whereas an author of straight alternate history might have felt free to extrapolate changes and corruptions in Yiddish culture over the course of the twentieth century, Chabon seems to feel that the act of piling genre on top of genre forces him to color within the lines of both. Much like The Amazing Adventures of Kavalier and Clay , The Yiddish Policemen's Union belies the promise of a strong beginning and an even stronger middle by faltering towards its end. And for much the same reason. In both novels, readers approach the ending with very little doubt of what they're going to see, but Chabon can't seem to get them there in a way that isn't predictable and anticlimactic. Realizing this, he delays the inevitable, resorting to histrionics such as, in Kavalier and Clay , Joe Kavalier attempting to fly off the Empire State Building. Fifty pages from the end of The Yiddish Policemen's Union , we know perfectly well what's coming—Landman's salvation, his and Bina's reconciliation, their choice to do the right thing regardless of the consequences. Truth be told, we knew where the story was headed almost from the moment we started reading it—this is, as already established, a novel that doesn't veer far from conventional narrative forms, and it doesn't take very long to figure out which one the characters are in—but so long as Landsman's investigation was racing ahead, so long as he was being shot at, making daring escapes across the frozen Alaskan landscape, learning more about the murdered man and the people who got their claws into him, we were content to be entertained by the journey. The mystery at the heart of The Yiddish Policemen's Union , however, is more a whydunnit than a whodunnit. Like most of the detective elements in the novel, its purpose is to shed light on Chabon's invented universe and to expound on the novel's themes. Through his investigation into his neighbor's death, Landsman discovers the lengths to which some of his compatriots will go to avoid displacement and the risk of ever being displaced again, and through that discovery, rejects territorialism, coming to the conclusion (which may be the novel's, and perhaps Chabon's, conclusion) that "[his] homeland is in [his] hat. It's in [his] ex-wife's tote bag" (p. 368). There is, however, a whole further act to go from this point (it might be more accurate to say that, rather than not knowing how to get to his endings, Chabon tends to overshoot them), which mostly consists of tying up loose ends, including revealing the, by now not so interesting, identity of the killer. Appealing as they are, Landsman, Berko, and Bina aren't original enough to carry the narrative once the mystery peters out. Chabon ends The Yiddish Policemen's Union by bringing his alternate Earth to an equivalence with ours—America and the Arab world engaged in a vicious struggle for ideological and political supremacy, with a small group of Jews stuck in the middle, simultaneously taking advantage of the situation and being taken advantage of by the major players on the board. There's even a 9/11 analogue (albeit a perverse one, in that the act of terror in Chabon's novel is perpetrated by Westerners and directed at Muslims)—"Landsman gets his first look at an image that will soon be splashed across the front page of every newspaper in the world. [...] The jagged jawbone of burnt teeth. The magnificent plume of black smoke" (p. 358). Just as he's finished bringing us to this point, however, Chabon puts away his pen, leaving us and his characters in uncertainty. 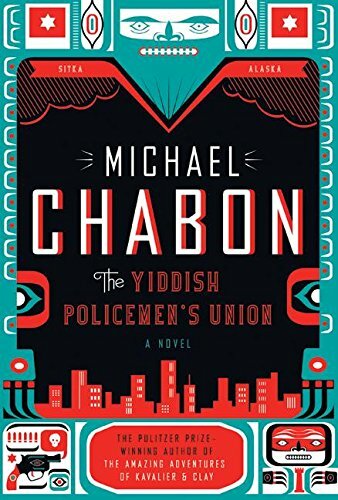 It's slightly unfair to expect Chabon to imagine a credible outcome for the Middle East conflict and the war on terror, and there is obviously a purpose to The Yiddish Policemen's Union 's open-endedness in that it mirrors the real-world fluidity of these crises. For a reader enchanted by Chabon's flights of fancy in the earlier parts of the novel, however, being dumped back into reality feels a bit like a betrayal—all that work, just to get back to where we started? All that emotion invested in the fate of the Jews of Sitka, only to discover that they are merely a metaphor?—and very much like a failure of nerve. In spite of these flaws, The Yiddish Policemen's Union is a fine novel and well worth a read. It is beautifully and engagingly written, and sets a new standard for alternate reality and believable worldbuilding. Although it ends weakly, the novel's middle segment is compulsively readable (if The Yiddish Policemen's Union falls short of the brilliance of The Amazing Adventures of Kavalier and Clay , this is mostly because it has a shorter middle). Nevertheless, and especially given his championing of plot and of genre tropes as the salvation of modern literature, it's interesting to note that Chabon seems more comfortable creating settings than telling stories in and about them, and that he is sometimes constrained, rather than liberated, by his use of genre. Abigail Nussbaum (anusbaum@netvision.net.il) works as a software engineer in Tel Aviv, Israel. Her work has previously appeared in the Internet Review of Science Fiction and the Israeli SFF quarterly, the Tenth Dimension . She blogs on matters genre and otherwise at Asking the Wrong Questions.